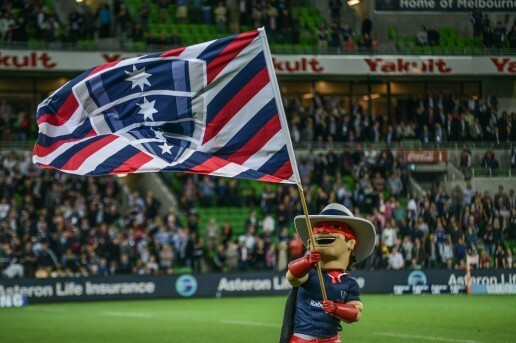 After a month on the road, the Melbourne Rebels finally return home to host the Sunwolves. The Rebels may be top of the Australian conference, but many pundits are expecting this to be a close match. At times this season, the Sunwolves have looked the giant killers; a far cry from previous seasons. So, how are the Rebels and Sunwolves tracking in 2019? The Rebels are unbeaten in Australia this season, winning in Round 1 in Canberra, Round 3 and 4 v Highlanders and Brumbies at AAMI Park and last week v the Reds at Suncorp. 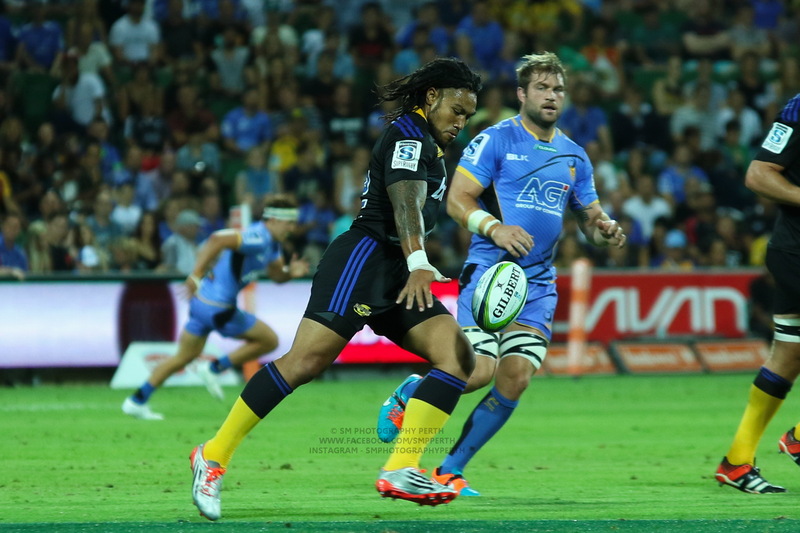 The win against the Brumbies and the Reds were split with a tour to South Africa. The Rebels are unbeaten at home this season. Whilst they were the best team for large parts of the game versus the Lions, the Rebels were still unable to register their first victory in South Africa. After a dominating performance against a hapless Reds, the Rebels are 4 wins and 2 losses in season 2019. The Sunwolves have recorded two wins and five losses this season. 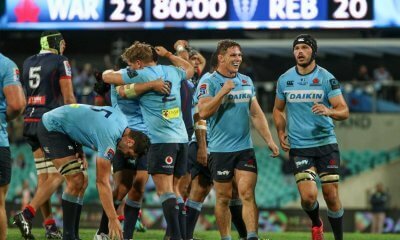 The two wins have been historical – their first win in New Zealand against the Chiefs 30 to 15 and last week their first win in Australia v the Waratahs 31 to 29. They also had a late chance to defeat the Waratahs in Tokyo but missed a late drop goal, which would have given them victory. Given these milestones, it is disappointing that the Sunwolves will not be involved in Super Rugby after 2020. The Sunwolves also lost a thriller to the Reds in Tokyo in Round 5.
Who made the matchday 23? The Rebels have made four changes to their 23. Pone Fa’amausili, Hugh Roach (set for his Rebels debut), Ross Haylett-Petty and Semisi Tupou come into the 23 replacing Sam Talakai, Robbie Abel, Esei Ha’angana and Sione Tuipulotu. There is plenty of stability in the starting line-up with Jermaine Ainsley replacing Sam Talakai as the only change in the 15. The Sunwolves have made five changes between last week’s 23 and this week’s 23. Luke Thompson, Ben Gunter, Hiroshi Yamashita, Jamie Booth and Josh Timu have been brought into the 23 this week. Players missing from last weeks 23 are Rahboni Warren-Vosayaco, Hosea Saumaki, Fumiaki Tanaka, Kara Pryor and Takuma Asahara. The biggest loss is Warren-Vosayaco, who currently has the most carries in the competition (76) and is equal sixth for tackles won (70). Who should we keep our eye on this week? Quade Cooper brings X-factor and unpredictability to the Rebels backline, which can cause significant issues for the Sunwolves defence. Cooper is enjoying not only his reunification in the halves with Will Genia but also the flat attacking structure adopted by Dave Wessels. If you were picking a Wallabies team today, based on form, Cooper should be a lock for the number 10 jersey. Luke Jones is the prodigal son that has returned. Jones was a foundation member of the Melbourne Rebels team and played for the Rebels in their first six seasons. After spending two seasons in France, Jones is back in 2019. Since his return he has been pressing his claims to add to his three Wallabies caps. Luke Jones in career best form. Jones has been prominent at the breakdown, being third in tackles won in the competition, but last week his most obvious impact on the game was his superb efforts to disrupt the Reds’ lineout. Tom English has been a stalwart in the Rebels backline since 2013. He is the Rebels’ all-time leading try scorer with 22 tries (two ahead of Reece Hodge). On Saturday night, English is also set to surpass the people’s champ Laurie Weeks as the most capped Super Rugby player for the Rebels with 87 matches. While English has spent plenty of time on the wing for the majority of 2019 he has formed a very good midfield combination with Billy Meakes. Mr Reliable. Hayden Parker played his 50th Super Rugby match last weekend v the Waratahs. Parker is instrumental in the Sunwolves attack. His passing game is pivotal and his kicking game is a joy to watch. Parker has a great long kicking game but it is where the Sunwolves are in more attacking situations where you need to keep your eyes peeled. Parker’s grubber kicks through the defensive line and dinky chip kicks over the line can create havoc for defences. Parker is also a sharpshooter from the kicking tee, he has been successful 27 times from 27 attempts in 2019 and has kicked his last 32 attempts at goal from the tee. Parker has the third most points in the competition this season. Gerhard van den Heever, the winger from South Africa, has been one of the Sunwolves standout players this season. Van den Heever has the most metres carried (608), the third most carries (74) and the fourth most clean breaks (11) in the competition this season. The winger has been so dominant in metres gained he has 145 more metres gained than the player with the second most metres. 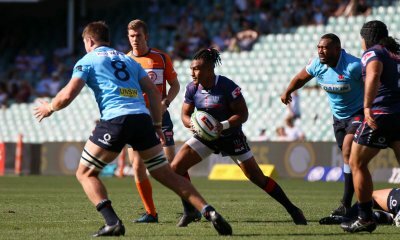 Hendrik Tui played at blindside flanker last week in the win against the Waratahs. This week he fills the big shoes of Rahboni Warren-Vosayaco at number eight. Tui was born in New Zealand, made his Super Rugby debut for the Queensland Reds and has played 43 tests for Japan. Both teams play attacking and aesthetically pleasing rugby. The Rebels have the equal third most tries in the competition this season with only the Crusaders and the Lions in front of them. The Sunwolves are equal seventh for tries, which given they are last on the ladder is a pretty good stat. The Sunwolves have the second most clean breaks in the competition with 77 behind only the Crusaders and clear leaders in the metres carried statistic with 3,357 metres. The Rebels have been great at lineout time winning 92.2% of their lineouts (3rd in the competition) whilst the Sunwolves are 13th with 85.3%. Scrum time will also be interesting with the Rebels winning 92% of their scrums and the Sunwolves winning 91%. The Rebels need to take this match. No disrespect to the Sunwolves, but they represent in-conference points that have to be banked. Big match, so important to take 5 points from this one. Glad we are showing them the respect and selecting a strong side to secure a win. Rebs by 5. this will be close. But as the other poster have said, the rebs need to win this one and bank the points. Hoping for a running game with the Rebs coming out on top. After last week in Newcastle, do not take the Wolves for granted or they will bite you in the arse big time. That’s a pretty good team sheet for the Rebels. The pack looks really good and dare I say balanced………. Some good impact off the bench too in both the backs and the forwards. Looking forward to seeing what Leota can do when he gets on. Imagine seeing of Naisarani only get Leota as the replacement! Cheika wants to know…what’s that mean…”balanced”…? Tipping a big win for the Rebels, despite the improved performance of the SunWolves this year. Rebs by 20. “Both teams play attacking and aesthetically pleasing rugby”. Yeah, give me some of that aesthetically pleasing rugby!!! Rebs to win….but not if they give any penalties in their half as Parker would exert scoreboard pressure (jeez…32 successful kicks in a row…). Notice Saumaki is out of the match day 23…surely he’d be worth signing by any of the Oz sides…? Hard to push out a guy who scored a hat-trick (Masiwera) and van den Heever (jeez he’s got a huge punt…), but Saumaki can really run the ball.